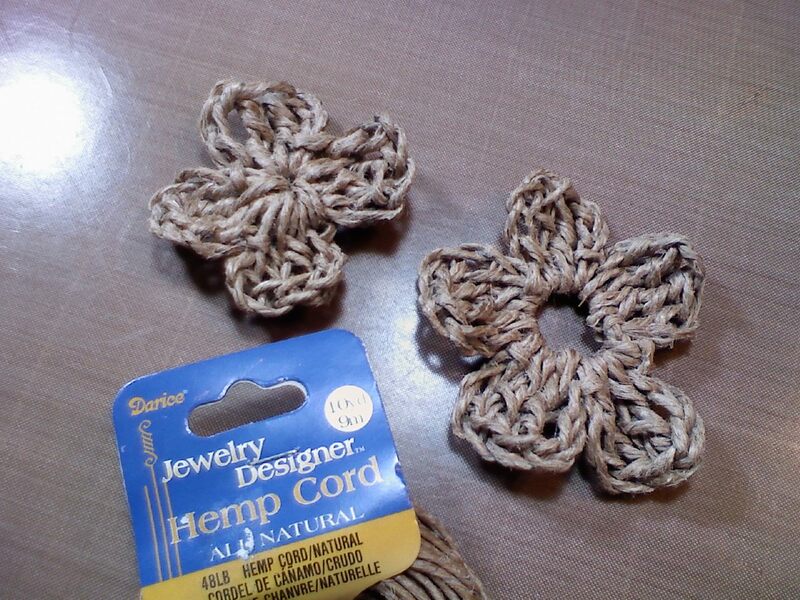 "The Jule Box Studios": Crochet twine flowers and things!! So I want to just share something cool I came across today. I went to Etsy looking for some crochet flowers to purchase....but instead I made some!! I didn't want the fluffy bright colors, I wanted to see about some rustic...maybe grungy, or "rough" looking flowers, but I couldn't find any, so I looked around my room and noticed my jute twine and thought..."Shoot, why not!" 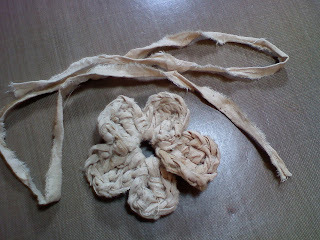 I grabbed my jute twine to give it a try and needless to say, I loved it!! I followed a tutorial here to make them. I played a little and made some different shapes! 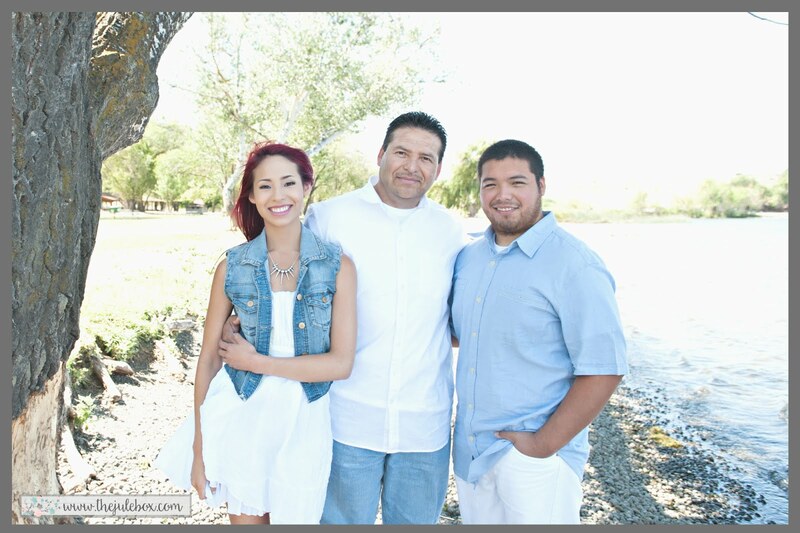 Take a look and let me know what you think!! Oh, you know what else?...I glimmer misted one and it took the glimmer mist really well, topped it with a mini Prima rosette and I love it!! 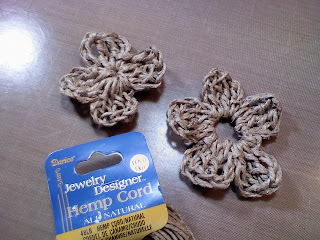 I later used hemp cord.....a little stiff, but I made them! I really love these!! Try them, they are really easy to make....and fun!! !